Get ready to dance, explore and laugh with the newest iteration of the world-renowned preschool brand Teletubbies is back and now you can watch it on Family Jr. Tinky Winky, Dipsy, Laa-Laa and Po arrive in Canadian homes this year to entertain little ones. I am glad to see Teletubbies return, as the initial series I used to watch with my nephews probably more than a decade ago. That time Teletubbies were extremely popular that kids wanted only Tinky Winky, Dipsy, Laa-Laa and Po toys and Teletubbies themes birthday parties. With the wide selection of programming on TV for pre-schoolers I often not very familiar with characters and their names, but with Teletubbies Teddy was even surprised that I know the names of the characters and their behavior. Join the iconic Teletubbies – Tinky Winky, Dipsy, Laa-Laa and Po – in a world filled with love and laughter as they explore their Home Dome and the magical countryside of Teletubbyland through comedic and physical play. A staple to the series are the positive themes highlighted by the Teletubbies including sharing, respect for others and inclusiveness. Familiar and beloved features from the original series return including The Noo-noo, Tubby Custard, Tubby Toast, Rabbits, Voice Trumpets and Baby Sun, and are joined by some brand new surprises guaranteed to delight Family Jr.’s youngest viewers. Look out for the Tubby Phone, the Tubby Custard Ride and the Teletubbies’ new CGI-enhanced touch screen tummies, which will link to preschoolers exploring, laughing and learning – just like the Teletubbies! Fans can visit FamilyJr.ca play games and download activities and colouring sheets featuring their favourite characters. The extraordinary voice cast lending their talents to the new iteration of Teletubbies includes: Jane Horrocks (Absolutely Fabulous) as the Tubby Phone; popular British television and radio presenter Fearne Cotton and Academy award-winning actor Jim Broadbent (Iris, Harry Potter) as the Voice Trumpets; and up-and-coming actor and comedian Daniel Rigby as the show’s narrator. Antonia Thomas will narrate the opening and closing lines. Global phenomenon Teletubbies first launched in March 1997 and became one of the most successful global children’s brands of all time. It has reached over one billion children to date and the original episodes have aired in over 120 territories in 45 different languages. Multi award-winning Teletubbies is a children’s television series targeted at preschool viewers and designed to encourage young children to watch television creatively. Full of fun and exploration, it inspires confidence and curiosity and nurtures childhood development. Teletubbies show is on regular schedule now, every Saturday and Sundays at 8 a.m. 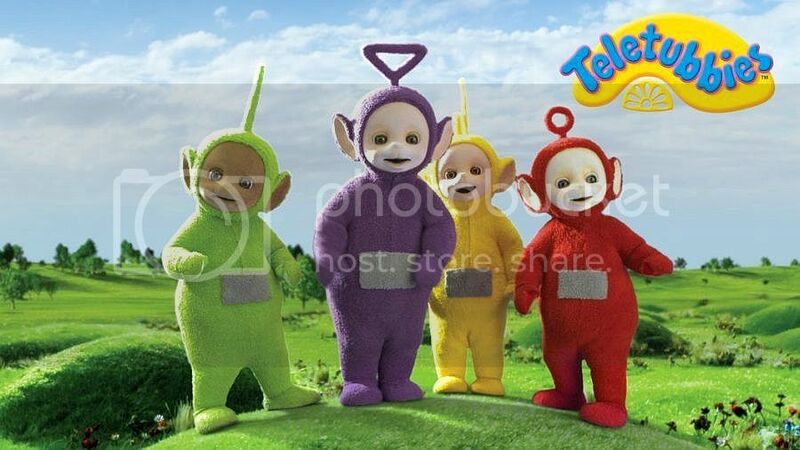 ET join Tinky Winky, Dipsy, Laa-Laa, Po and their friends on Family Jr . Very cool to see them back again! Blast from the (not that distant) past! Lots of great info here, thanks!